“Tandem Energy aims to provide advice and solutions to our clients that is data-driven, practical, and cost-effective. Our work emphasises sustainability in all aspects – financially, environmentally, and socially. The directors and staff of Tandem Energy have a diverse range of skills, accumulated over many years of workplace experience, formal study, and individual research. We apply a holistic approach to all aspects of our work, ensuring we provide integrated, realistic, and effective solutions to help you reduce energy costs now and in the future. Educating our clients and the wider community in sustainable practices is our key focus and passion. 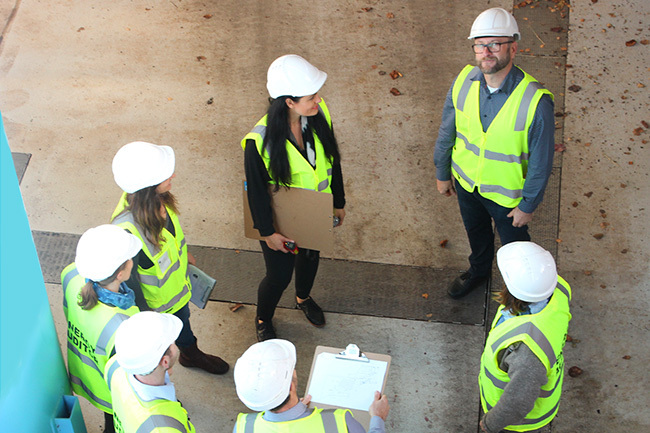 Every energy audit we conduct incorporates an education/behaviour change aspect – this is not required as part of the standards, however we believe it is the best way to achieve significant lasting change. Tandem Energy can collaborate as advisers, project managers, or long-term asset managers to consistently deliver tangible savings and efficiencies. We utilise a range of technologies to obtain accurate data from your site and to implement practical solutions. We choose to work with the suppliers and technicians that you use and trust. They already know your site, and often have great suggestions for energy efficiency through familiarity with the business. We also have our own network of trusted service providers who provide specialist advice and services when required. By not being committed to one technology or service company, we are able to focus on finding solutions to your particular needs, not on making your needs fit our particular widget. Our suppliers include businesses such as Altus Energy Strategies, Dent data loggers/Axiom Data Solutions, Peace of Mind Electrical, GNR8NRG solar solutions, Tristar Electrical, and Seeley International.